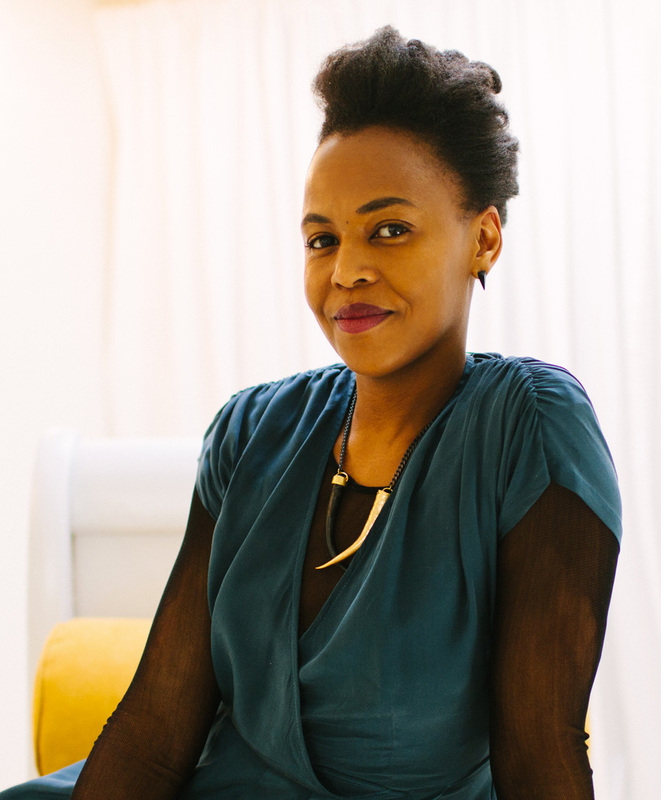 Hong Kong - Lehmann Maupin is pleased to announce the gallery’s first exhibition with Wangechi Mutu in Hong Kong. The Kenya-born artist, based in New York and Nairobi, will debut a new body of work comprised of sculptures and paintings representing the artist’s use of materials from familiar surroundings that have informed her continued engagement with the natural world. Mutu is internationally known for her mixed media collages that deal with issues of identity, and in recent years her oeuvre has expanded with a focus on sculpture, performance, and animation. These works are often brought together in the form of cohesive installations, as was exemplified in her work shown at the 56th Venice Biennale, in 2015. Mutu’s practice was recognized early for its unique, globally influenced hybrid aesthetic that merged biology, pop culture, science fiction, religion, and philosophy, where Mutu explored the relationship between identity, the body, and nature. In her most recent work, Mutu continues to explore the relationship between humans and the natural environment through new materials. The work is made from organic matter, including rocks and minerals, iron rich soil, roots, and branches sourced from different parts of East Africa. The humanoid objects and spherical virus-like sculptures are representative of a range of biological phenomena that represent living matter, replete with the potential for regeneration or destruction. For the artist, the liminal space of transformation is what offers the greatest metaphorical potential, as captured in her new abstract paintings that depict moments of mutation and growth frozen in time. Mutu’s new work identifies a common thread found in multiple creation mythologies, in which humans are formed from the earth and sea. Her transformation of raw natural elements to hand hewn forms, thus becomes analogous of human evolution from biological to societal construct that shape our understanding of nature and one another. Wangechi Mutu (b. 1972, Nairobi, Kenya; lives and works in New York and Nairobi) received her BFA from Cooper Union for the Advancement of the Arts and Science, New York in 1996 and MFA in Sculpture from Yale University School of Art, New Haven, CT, in 2000. Solo exhibitions of her work have been organized at SITE Santa Fe, NM (2016); the Schnitzer Center for Art and Design, Pacific Northwest College of Art, Portland, OR (2016); the Brooklyn Museum (2014); Museum of Contemporary Art Australia, Sydney (2013); Nasher Museum of Art, Duke University, Durham, NC (2013); Musée d’Art Contemporain de Montréal (2012); Staatliche Kunsthalle Baden-Baden, Germany (2012); Art Gallery of Ontario (2010); Museum of Contemporary Art, San Diego, CA (2009); Miami Art Museum (2005); and San Francisco Museum of Modern Art (2005). 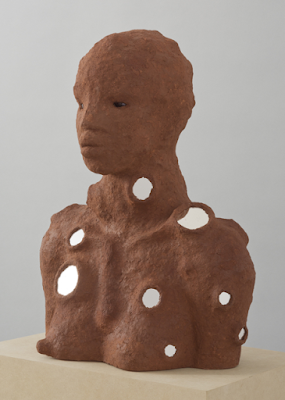 Mutu’s work is featured in numerous international public and private collections, including Art Gallery of Ontario, Toronto; New Museum of Contemporary Art, New York; The Hague, Netherlands; The Museum of Modern Art, New York; Studio Museum in Harlem, New York; Whitney Museum of American Art, New York; Museum of Contemporary Art, Los Angeles; and San Francisco Museum of Contemporary Art, CA. Mutu has received numerous awards and grants, including the United States Artist Grant (2014); the Asher B. Durand Artist of the Year Award, Brooklyn Museum (2013); and Deutsche Guggenheim Artist of the Year Award (2010). Founded in 1996 by partners Rachel Lehmann and David Maupin, Lehmann Maupin has fostered the careers of a diverse group of internationally renowned artists, both emerging and established, working in multiple disciplines and across varied media. With three locations—two in New York and one in Hong Kong—the gallery represents artists from the United States, Europe, Asia, South America, Africa, and the Middle East. Known for championing artists who create groundbreaking and challenging forms of visual expression, Lehmann Maupin presents work highlighting personal investigations and individual narratives through conceptual approaches that often address such issues as gender, class, religion, history, politics, and globalism. Copyright 2015 Art + Form. Powered by Blogger. Have an upcoming exhibit, event, show?